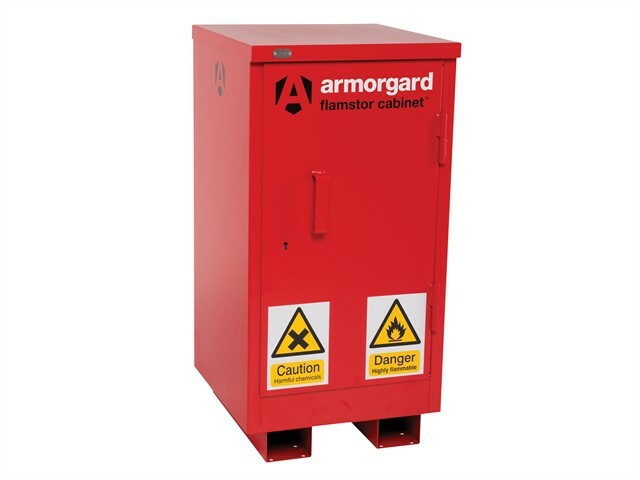 The Armorgard FlamStor Cabinet Range is designed as an upright alternative to the FlamBank, with fully adjustable shelving. Comply with all regulations for storing of harmful chemicals and flammables, built to 30 minute fire resistance. Fully welded and tested sump base to prevent leakage with high and low level ventilation. Fully adjustable shelves with all sizes and heavy-duty 5-lever deadlocks with serial numbers for replacement keys. Fork lift skids on all sizes.